I have used every manner of web browser from lynx, Mosaic and Netscape builds to abusing curl commands and mostly prefer Firefox for the bulk of my daily desktop/laptop needs due to the strong plugin ecosystem. Below you’ll find my top Firefox addons categorized between security/privacy and general utility. The internet can be a dangerous place. Invasive marketing and advertising have gotten much more intelligent, with large swaths of internet traffic and websites devoted to spam, tracking people for advertising purposes or worse. There is a marked increase of malicious abuse in web standards to not only bombard people with unsolicited advertising but also to steal personal information for nefarious purposes. 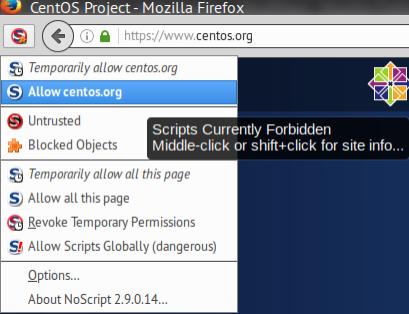 Luckily there’s plenty of great addons for the Firefox browser to combat this. Here are my top 4. There’s lots of ad-blockers out there, some of these adblocker projects even get bought by advertisers who then whitelist their content and block the competition. 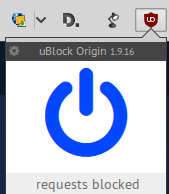 I will update this if that happens to Ublock Origin but currently it’s the legit, bees-knees of adblock and privacy blockers. Disconnect blocks social media trackers, invasive cookies and web tracking elements and is a general replacement for Ghostery which was purchased (ahem) by an advertising company recently. If Disconnect falls to the same fate yours truly will use his steel-trap memory to update this page for the next less-sketchy tracking blocker. The Electronic Frontier Foundation (EFF) maintains an addon that forces HTTPS encryption anywhere it possibly can on sites that support it. It’s smart and will automatically force HTTPS encryption on parts of websites that support it if normally it might use mixed-content. Like NoScript sometimes it can also break the internet but generally it’s a good idea in theory. Like so very few entities out there the EFF sincerely has your best interests, privacy and digital rights in their best interest so I can’t leave this one out. 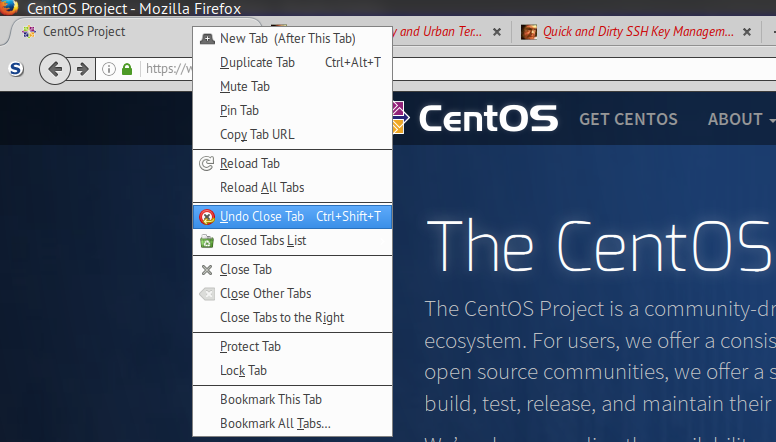 I’m going to share 6 very useful Firefox utility and convenience addons that make my life easier in no particular order. Screengrab does just what it says, it grabs an entire screen (even parts that extend beyond your visible view) and saves it to an image or PDF. Tab Mix Plus enhances Firefox’s tab browsing capabilities with things like duplicating tabs, controlling tab focus, tab clicking options, undo closed tabs and windows, plus much more. It also includes a full-featured session manager. Personally I just like the fact new, unread tabs are colored in red but the undo closed tab functionality is great. Also on my Lenovo x240 the atrocious clickpad would close tabs with a miss-click so I removed middle click as the default close tab behavior. This addon let’s you use your own external editor to fill in web forms and other text entry areas on websites. It also keeps a temporary file of your form data so if something goes wrong you still have it. Lots of websites don’t do form submission properly so this is a nice utility. 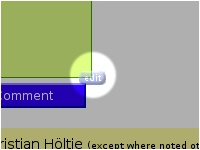 Zoom page does what it says. You can control + minus/plus to zoom in or out of webpages innately in most browsers but this goes a bit farther and remembers your settings per page. 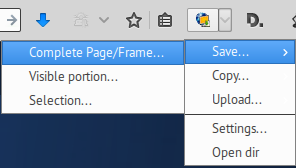 It also lets you set different image zoom levels versus text. There’s lots of addons like this but this is the one I use. Now I can tell FoxyProxy to use localhost:9998 as a local SOCKS proxy and route all my connections through the remote host. Bonjourno! I’m in Italy or at least Netflix believes I am. ReloadEvery lets you reload websites (and even form submissions) on a set interval per tab or window. It’s useful for getting up-to-date status on things that might not have built-in refresh available. I once used it to auto-fill a web form to get registered for fall classes among a giant surge of other students in college, shhhh – don’t tell anyone. 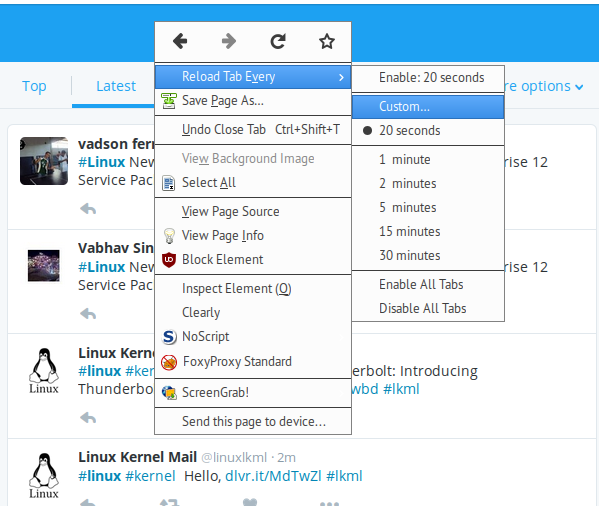 You might also use it to reload tweets matching the hashtag #linux via the Twitter website for example. These addons are multi-platform and should work on Linux, Windows and MacOSX (Android and IOS vary). Do you have addons I should know about? Let me know in the comments below and I’ll add/update them here. 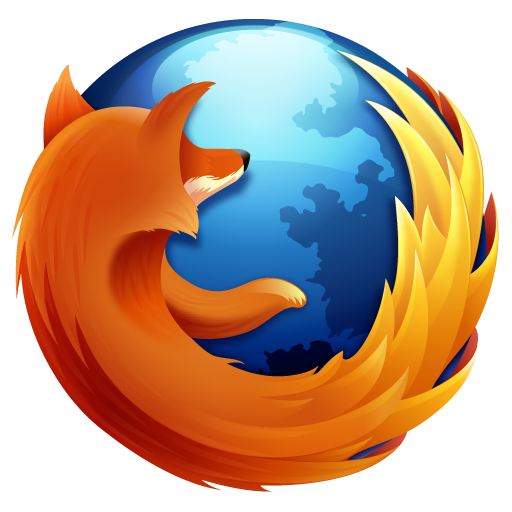 This entry was posted in open source and tagged 10 best firefox addons, addons, browsers, firefox, mozilla firefox, privacy, security. Bookmark the permalink. I am using the same set for security, plus “Clean Links”. Nothing from utility. Hey Anton! I’ll have a look at clean links – looks useful. 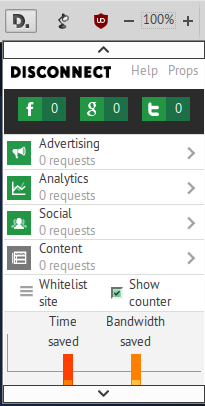 Privacy Badger is the most valuable of all the security-related plugins! Disconnect and Reloadevery are my must haves. I trust Bill Gates to keep me safe via Win10 ! Hi! 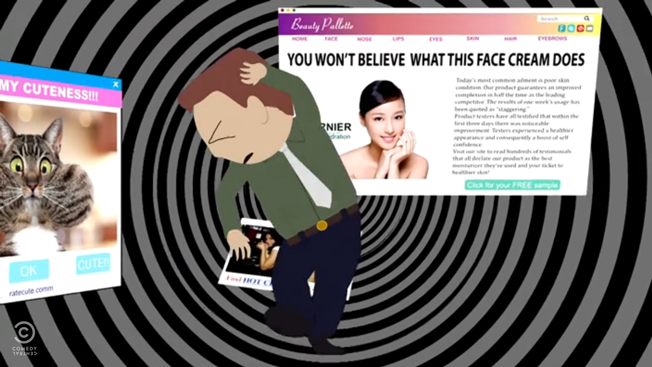 What is your opinion about Privacy Badger? 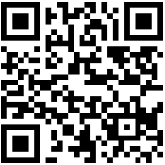 Hey Andras, I like the EFF and Privacy Badger is a great addon as well. Since I’m already using Disconnect and ublock origin I’m probably doubly covered in the tracking department but Privacy Badger would work equally as well if not better. EFF also makes HTTPS Everywhere which is nice. “doubly covered in the tracking department” :D :D perfect! Sounds good. And also, NoScript is my most favorite.